When I first purchased my iPad Pro, I debated the merits of spending another $99 for the Apple Pencil. Ultimately the Apple fan within me won out and I sprung for the pencil. I quickly discovered the Apple Pencil to not only be a fun addition to the iPad, but when paired with the GoodNotes app, to be a powerful tool which transformed my workflow. As our office has become 98% paperless, the only hard copies we generate are legal agreements and notepads. 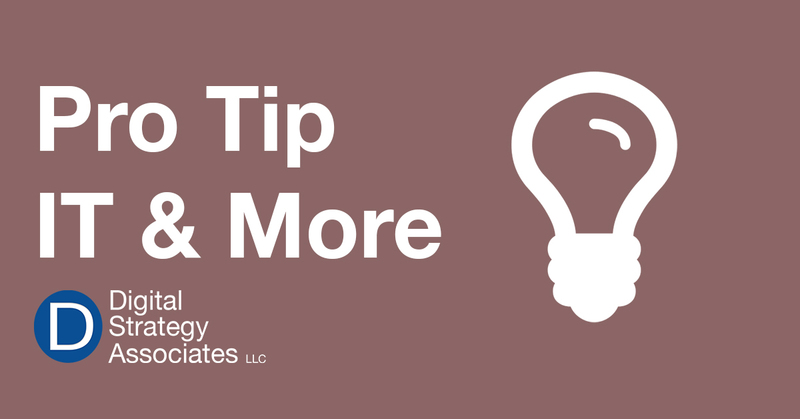 GoodNotes fills the void for when you need a notepad to brainstorm ideas, record meeting notes, or quickly jot something down. Now, instead of a legal pad, I bring my iPad Pro to meetings. The Apple Pencil makes writing feel natural and effortless while Good Notes’ convenient conversion tool translates my hand written notes into text afterwards. Even with sloppy handwriting, I find the text conversion tool to be about 80% accurate with most of the corrections being related to spacing. With iCloud, GoodNotes can sync between devices. Need to sketch a graph or make a diagram? Besides standard ruled paper, GoodNotes includes a variety of templates including graph, musical, and squared versions. 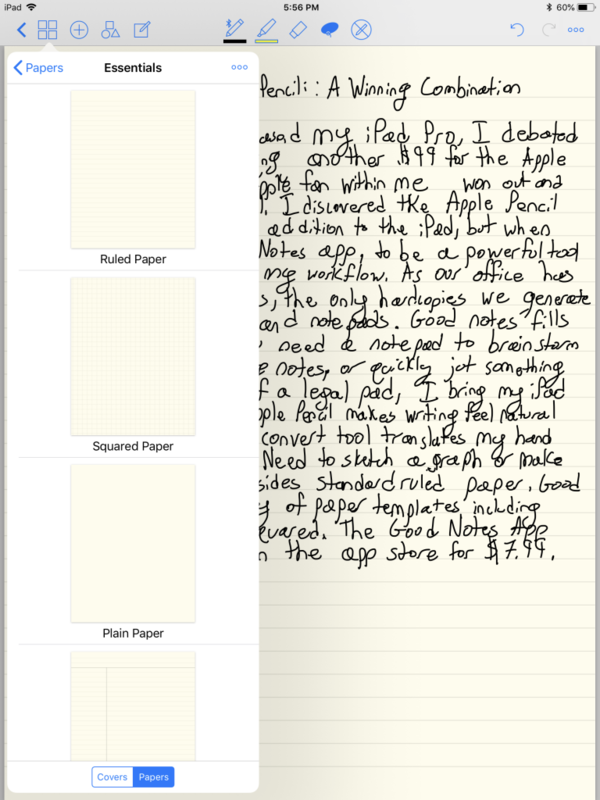 At only $7.99, Good Notes is available in the App Store with versions for iPhone and iPad.